Iran’s domestic unrest escalated this week, as the country’s economic and political isolation continued. At the same time, the Revolutionary Guard attempted to launch a second satellite. The new launch came despite international criticism that Iran’s space program helps it develop ballistic missiles. The IRGC defied a U.N. Security Council resolution calling on Iran to undertake no activity related to ballistic missiles capable of delivering nuclear weapons. 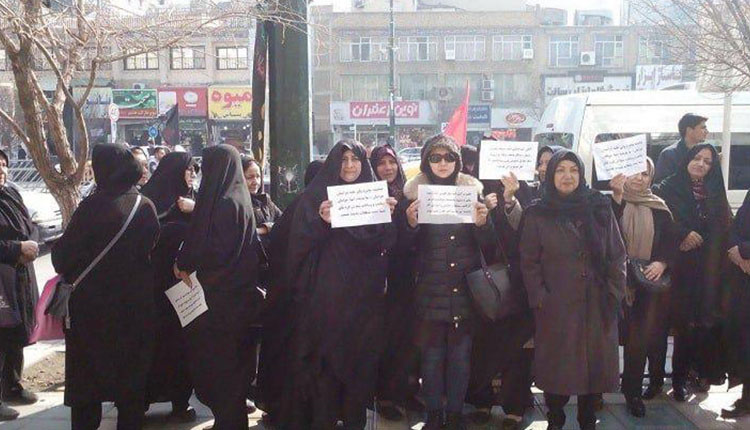 Simultaneous protests of angry Teachers and educators broke out in Isfahan and Qazvin on Thursday, February 7, 2019. Hundreds of people from other sectors joined and actively participated in this series of protests. 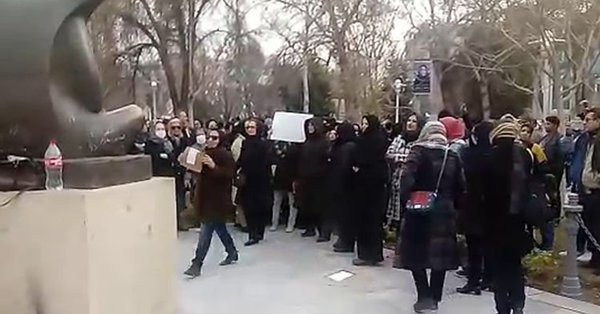 According to Iran News wire report in Isfahan, central Iran, Hundreds of teachers rallied alongside the city’s famous Zayanderud River on Thursday, protesting the mullahs’ unjust policies, including the drying up of Zayanderud’s waters, and demanding changes. Women played an active and significant role in this rally. Following this widespread rally, the special anti-riot guards had surrounded the protesting teachers, but the protestors were very organized and used tactics and maneuvers to avert the anti-riot guards and disperse them, to continue their protest for hours. Passersby hailed the protestors and paid sympathy and tributes to them as they signaled their hatred of the regime. They crowded and surround the protesters to protect them in their ring against the anti-riot guards. anti-riot guards were seen firing tear gas and using pepper spray in attacking the demonstrators. However, the brave protesters ignored the intimidation and were heard chanting: “A nation has never seen such injustice”, and “Teachers would rather die than face dishonor”. 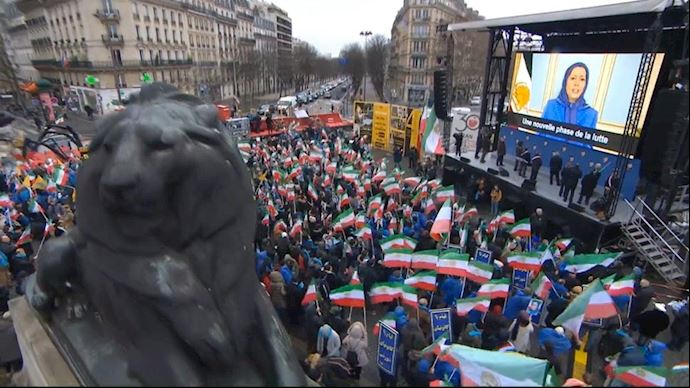 In the meantime, according to the fox news Iranians from across the globe rallied in Paris on Friday calling for a free Iran and seeking regime change by the Iranian people and their organized opposition, the National Council of Resistance of Iran (NCRI). Iranian opposition President Maryam Rajavi delivered the keynote speech at the event, as the rally also featured a slate of international dignitaries, mainly from France. Mrs. Rajavi said: "with the overthrow of the Shah’s corrupt dictatorship and his regime of torture, his true successors, namely Khomeini and Khamenei, took over the helms. Now is the turn of the mullahs to be overthrown. She added, our nation has started a new era, a new phase, in her battle to bring down the mullahs’ theocratic rule. Therefore, they expect the international community to respect their struggle and recognize their high goal of liberating Iran and the entire world from the evil and mischief of the mullahs’ religious fascism. Western governments bear double responsibility in this regard because they have had a role in preserving this regime, particularly in the past two decades". The rally addressed by the European dignitaries. “All European governments, open your eyes. Restore the dignity of your countries. Support the Iranian Resistance. 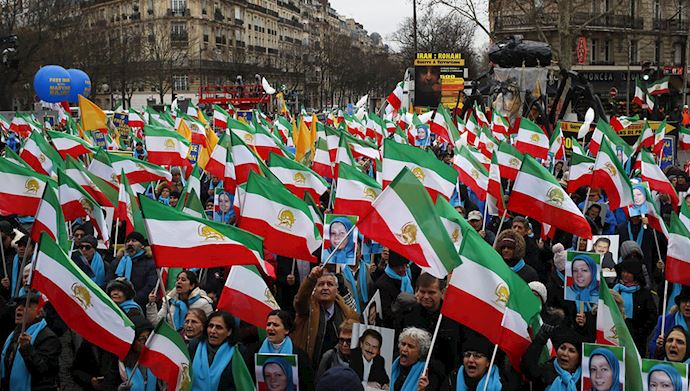 Stop following your economic interests at the expense of your dignity,” said former French Senator Jean-Pierre Michel “The Iranian regime has the world record in executions. The Iranian government has cracked down on protests by workers. That’s why syndicates in France are supporting their movement,” said Gerard Lauton, representative of French Teachers’ Syndicate. “In the past year, several Iranian diplomats have been arrested and expelled from European countries because of their involvement in terrorist activities,” former European Parliament Vice-President Alejo Vidal-Quadras explained as he reviewed Tehran’s recent terror record.